Congratulations to Rob for winning the June 2012 VTROTM! Last edited by 8541Hawk; 07-02-2012 at 09:36 AM. Last edited by Spoot; 06-05-2012 at 08:25 AM. I am working on good pics of mine. One-off stressed member hardtail by me. 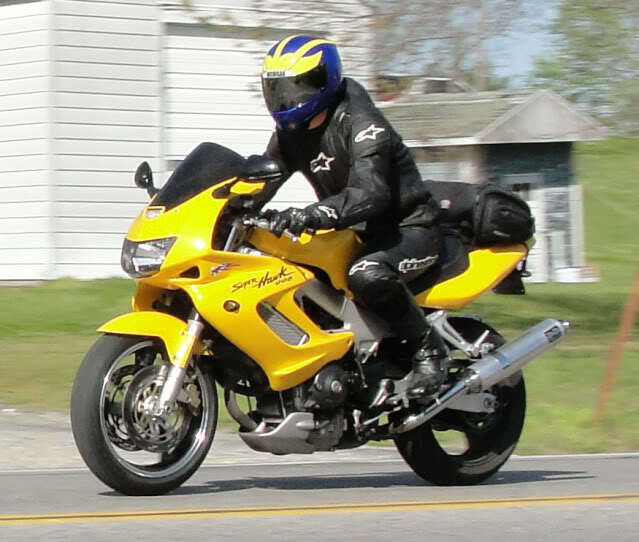 '97 Honda VTR1000 Firestorm. CBR600rr stick coils. Modified standard downpipes, one-off big bore tailpipe in 65mm stainless by me, wrapped. Stubby big bore carbon race can. Mikuni HSR40 flatslide carb, one-off polished stainless 50mm inlet manifold by me. Billet ally manual camchain tensioners, (not fitted yet). 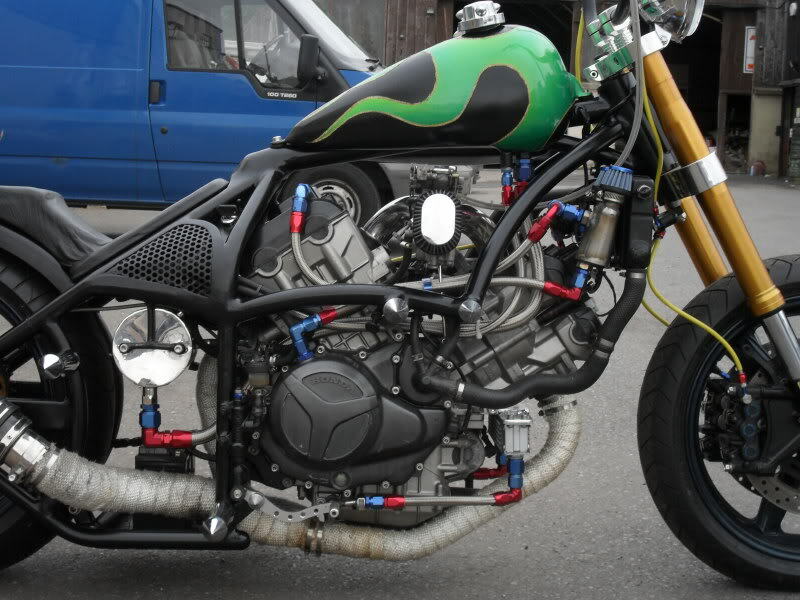 Modified R/H VTR radiator with one-off stainless header tank by me. 9 row Serco oil cooler, AN-8 oil braided lines. One-off head breather tank on AN-8 braided lines by me. 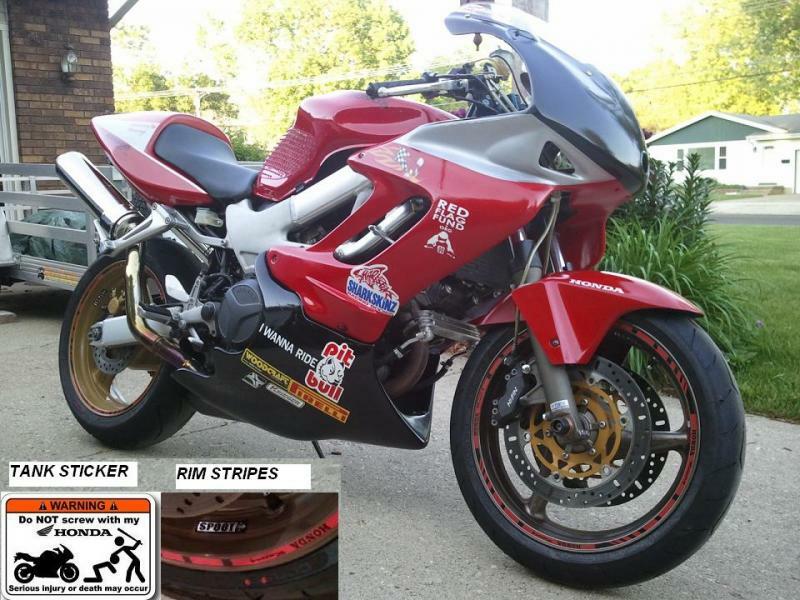 '03 Yamaha R1 3-spoke wheel modified by me, '03 R1 discs. '09 R1 radial fork legs modified by me, '09 R1 6 piston radial calipers, titanium caliper bolts. '03 R1 mudguard. One-off 19" ape-hanger 'bars by me, 2 inch polished ally risers. 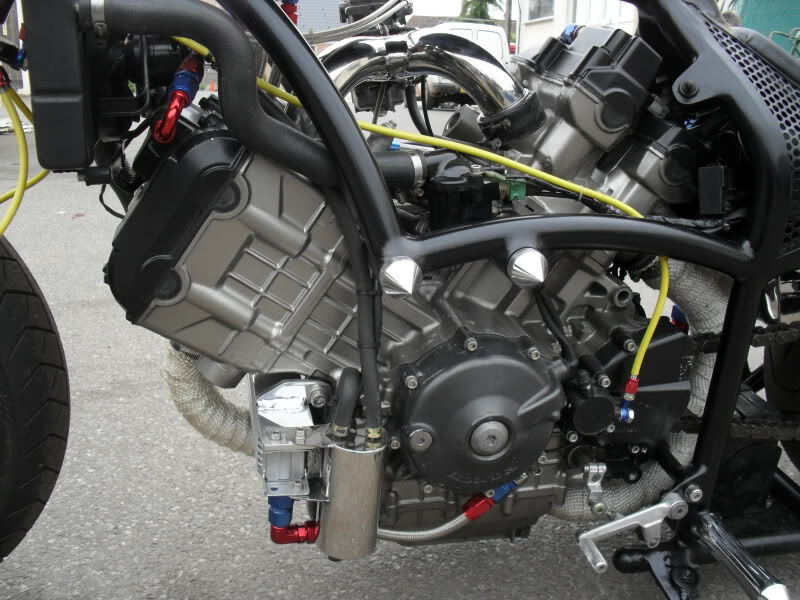 One-off stainless braided brake hoses, clutch hose and throttle cables by me. one-off billet ally polished slab yokes and one-off steering stem by me. Radial brake master cylinder. Radial clutch master cylinder. Modified '03 R1 6" 3-spoke rear wheel, 200 tyre, 220mm wavy disc, one-off ally wheel spacers by me, VTR rear caliper on VTR carrier, modified by me. 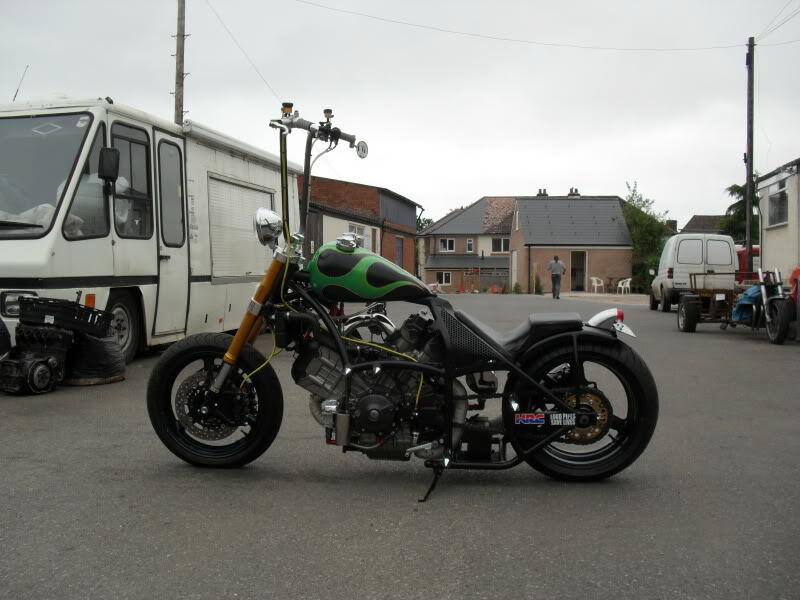 one-off torque arm by me. +2 43-tooth Supersprox sprocket on one-off 10mm billet ally offset spacer by me. Braided brake hose. polished ally Sparto rear light. '03 R1 front mudguard. 6" trailer mudguard, shortened, spilt and widened 2" by me. Secondary polished stainless underseat fuel tank. New minimal loom by me, uprated reg/rect, ZX9r fuel pump. Satin black paintwork, multi tone green flames under mint pearlescent wash,'dark gold' holographic flake pinstriping by me. Polished ally and polished stainless by me. 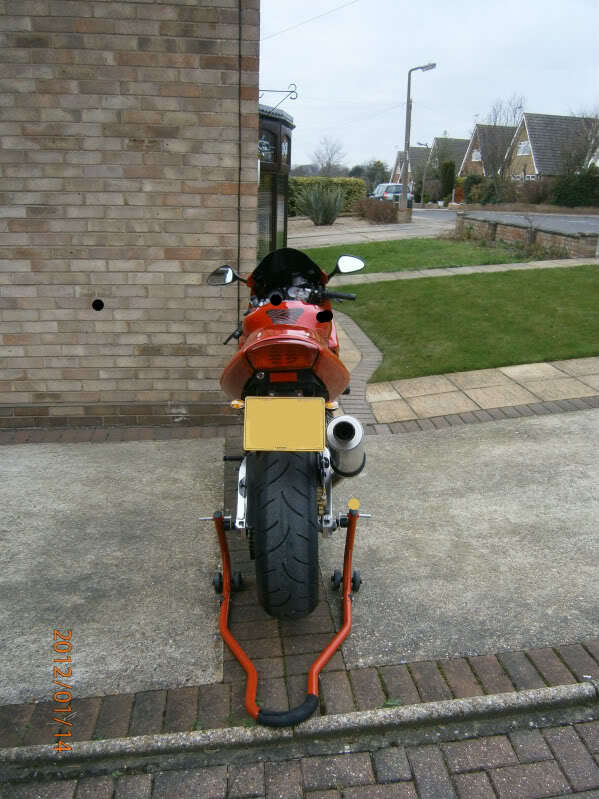 (front mudguard not fitted in pics). I call bulllshit! Cool? Maybe, but not a superhawk!!! It's an old pic, notice the clear screen and Jardine pipes. 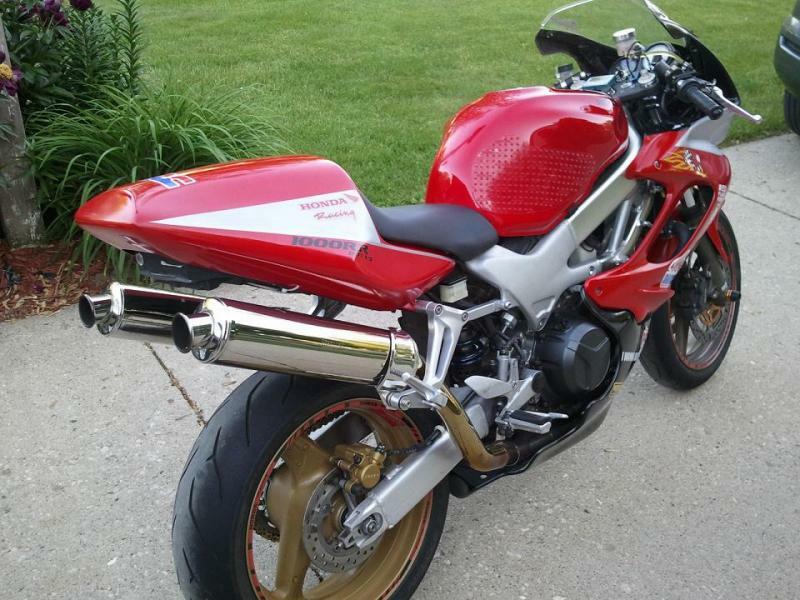 if i had put a ducati engine in a superhawk frame, would that be ok?? are you saying that the frame has to be standard to be eligble?? what about if i had a standard frame with the 'ears' welded on like the Moriwaki race bikes?? or a Moriwaki race frame?? 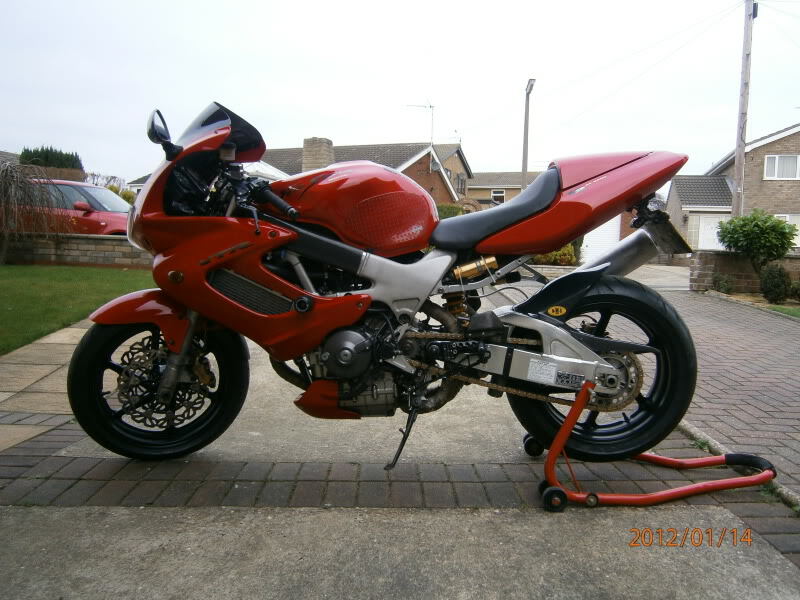 or is the 'vtr of the month' only eligble to bikes that are mostly standard, with just a few simple cosmetic mods?? Nice bike Rob. You have my vote. No different than entering a street fighter. rob, it's just my opinion. chill. We need a picture of you riding it. Is something like this going to win VTR of the month? yeh, that did come across a bit terse, it wasn't meant to be. i'll get a pic took of me on it this week, if the gales and monsoon rains let up. hopefully not, it's a tractor. lol. Last edited by Gaggenau; 06-10-2012 at 12:11 PM. oops, am I supposed to have a pic of me riding it?? gaggenau, you need to add 2" chicken strips to your list. 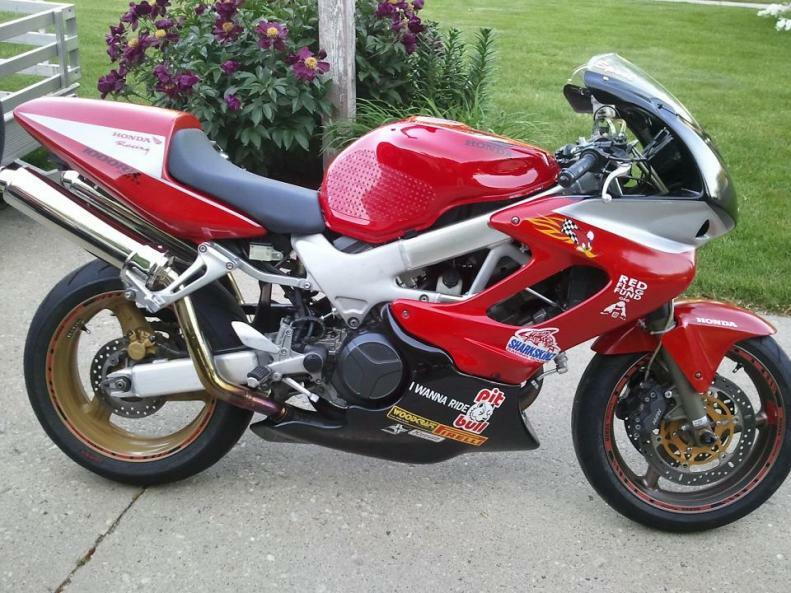 Ok, so you almost have sportbike geometry/rake going on, but a hard tail, water cooled engine with USD forks and a peanut tank? How does that thing run with that bitty carb and no airbox? Last edited by wsharpman; 06-09-2012 at 08:25 PM. it runs sweet as a nut. ticks over fine, pulls cleanly to max revs with no stutter or hesitation from any revs with any throttle opening. i did do some maths when i made the inlet manifold, but i guess i just got lucky. water cooled engines and USD front ends are not unusual in chops over this side of the pond. how about a VW motor in a superhawk frame? 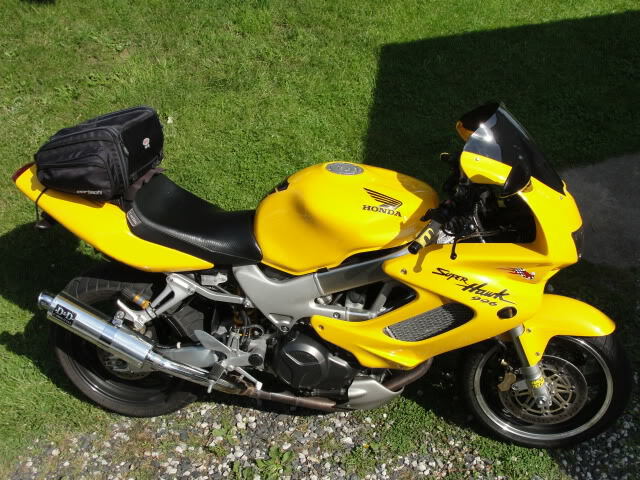 what about a ducati motor in an otherwise standard 'hawk?? 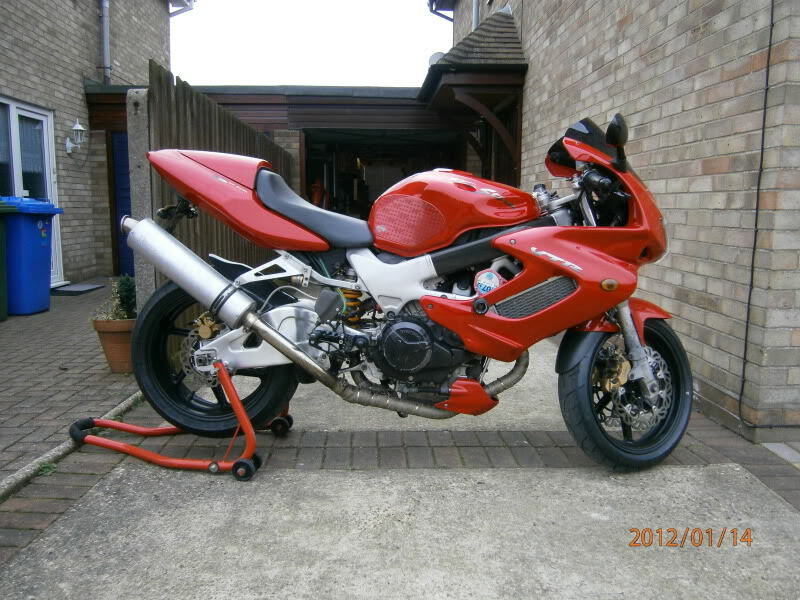 what about the popular conversion of the VFR single sided arm and fireblade forks?? are you saying a 'hawk is only a 'hawk if it has the standard(ish) sillouette?? l grant you that. and a superb job of it he did however it is no longer a hawk. exactly what i am trying to get determined here. honestly ....if someone went to a corvette forum and entered a Volkswagen body with a corvette motor in it should or would they accept that? i don't think so. however custom things have a place and are cool but no longer are they what they were. i've started a thread in 'general' about this subject, perhaps a mod could transfer the relevant posts from here over to there, so we don't clog this thread??? They are not that big......... any more! They are just the latest ones that I have after getting it all together which was about a week earlier from the dates ont he pictures. So many posts and only 4 entries..... you have 2 more days to enter this months contest. Last edited by NHSH; 06-18-2012 at 05:30 PM. this morning is the first sunny day for about 2 weeks, i'll try and get some today. i only put the apes on as a bit of a joke really, but oddly, i really like them!!!! no numb hands yet.... i've got a new set of straights in case i change my mind, but so far, the apes are staying. Last edited by rob...; 06-18-2012 at 10:21 AM.